Leader company in quality, technology, energy saving, ecologic systems and service. Established in Monterrey, N.L. in 1957, MYRGGO is a Mexican company dedicated to boiler's and related equipment for steam generation and energy exchange production. Our principal aim is to satisfy your company's necessities related to equipment for steam generation, hot water and energy exchange; offering a service that starts from the consultancy for the selection of the equipment most adequate to each necessity, cover the stages of designing, manufacturing, installment, starting mechanism, team training, preventive and corrective maintenance as well as refurbishments sale and complementary equipment. Many years of experience support us. 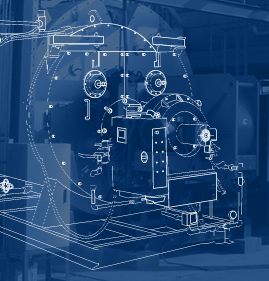 Adding the most advanced technology and our quality makes our boilers and equipment the best option in the market.